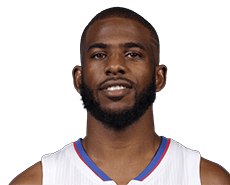 Any chance the Clippers had of advancing deep into the playoffs took a bit hit Monday when point guard Chris Paul suffered a third metacarpal fracture in his right hand during the third quarter of Game 4 of the Clippers’ first-round playoff series at Portland on Monday night. Paul scored 16 points and doled our four assists before the injury. The Clippers took a 2-1 series lead into the game. This entry was posted in Results and tagged Chris Paul, Los Angeles Clippers, Portland Trail Blazers by Robert Morales. Bookmark the permalink.